Despite the many safeguards and technology tweaks credit card companies and credit card processors have implemented over the last several years credit card fraud continues to be a major problem and millions of people across the world fall victim to it every year, even though they may have believed they were doing all the right things to keep their identity and financial information safe and secure. When it comes to the physical piece of plastic that is an actual credit card faking those has indeed become harder for crooks over the years. Harder, but far from impossible though, as the fact that 37% of the reported credit card fraud funds loss can be attributed to this method on an annual basis demonstrates. These days to make counterfeit credit cards criminals simply use fairly basic technology to “skim” information contained on magnetic stripes of credit cards, strips that contain all the information they need to create a credit card that will work just fine at locations all over the world for as long as it is not stopped by the unsuspecting original owner. The difficulty in stopping this form of credit card fraud is that the actual skimming is often performed by “insiders” – check-out clerks, waiters and many others who on the surface have a legitimate reason to get their hands on your credit card for a few minutes. In an ideal world this form of credit card fraud would not make up the 23% of annual credit card funds loss that it does. The unfortunate fact is that often it can be hours, even days before an individual realizes that their credit card is missing and calls their credit card company to stop it. And during that time the thief – or the opportunistic soul who happened to pick up a credit card when someone dropped it – can have already spent thousands of dollars. Internet shopping is bigger than ever and as no physical card is required to make a purchase this is a really easy way for the unscrupulous to make a quick buck. All they need is some very basic information, which they can easily glean from a discarded credit card statement or even a till receipt. Another scam tactic is to con unsuspecting cardholders out of all their information – name, address, Social Security number and all that lovely credit card information (including that verification code) – by offering something that really does not exist, either over the phone as part of a telemarketing call or by setting up a simple web based landing page. This is the one form of credit card fraud that is fortunately decreasing. It occurs when a new or replacement credit card is mailed to you by your card company but is stolen during the process of being mailed. The good news is that the stricter verification and activation procedures that most credit card issuers have now implemented do make it harder for thieves to use these cards any more. If you have a fair credit rating and your identity is stolen the thief can often have a great time applying for – and receiving – credit cards in your name. And the sad fact is most people do not realize that this is happening until their credit scores start taking an unexpected hit. Once this occurs they take a look at their credit reports and can often catch the fraudulent accounts right away – but cleaning up the mess is a lengthy and very difficult process. Most credit card complies now do not hold credit card holders responsible for most (if any) of the money that is stolen when their credit card is used fraudulently. This fact has made some people a little too complacent about credit card fraud. Why worry too much if I won’t lose the money? Well while your financial institution may let you off the financial hook and credit card account activity that was fraudulent will still go on your credit reports, and that can be very difficult to remove, with some people discovering it can take years to undo all the damage that credit card fraud can do to your good name – and financial reputation. Want another reason to worry? Often that little magnetic strip on your credit card contains a lot more than the right code to get your payment approved and the bigger issue of full scale identity theft can rear its very ugly head. No one is completely immune from credit card fraud. If the checker at your local supermarket is actually a thief and has installed a card skimmer at their register there is no way you could have ever know that. And we have all lost something at one time or another. 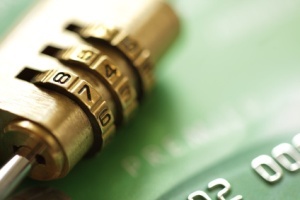 There are however some very simple things you can do to safeguard your credit card information. The first is always know where your card is. Don’t just assume because it is not in your wallet that you left it at home. In the eight hours from when you got to work and noticed it was gone a thief could have spent an awful lot of money. You should also keep a close eye on your credit card activity. Take advantage of the email or text alerts that the majority of credit card companies offer to send when there is activity on your card and actually read them as well as keeping an eye on your credit report to watch for activity you do not understand or recognize.